I’m Ujjwal living in Pune, India. I am a software engineer turned Stay-at-home-mom to a 23 month old little girl. I love to create things and experimenting with different styles. Though CAS is my all time favorite, I do indulge in layering every now and then. And that is what today's card is all about. I had a blast working with the soft color palette and the MDF laser cut really adds so much to the whole look of the card. The cluster of punched stripes is also a great way to use of paper scraps. I hope you like what I did for this challenge's inspiration and feel inspired to participate. Thank for having me here, team Lulupu! such a lovely card ujjwal!!! 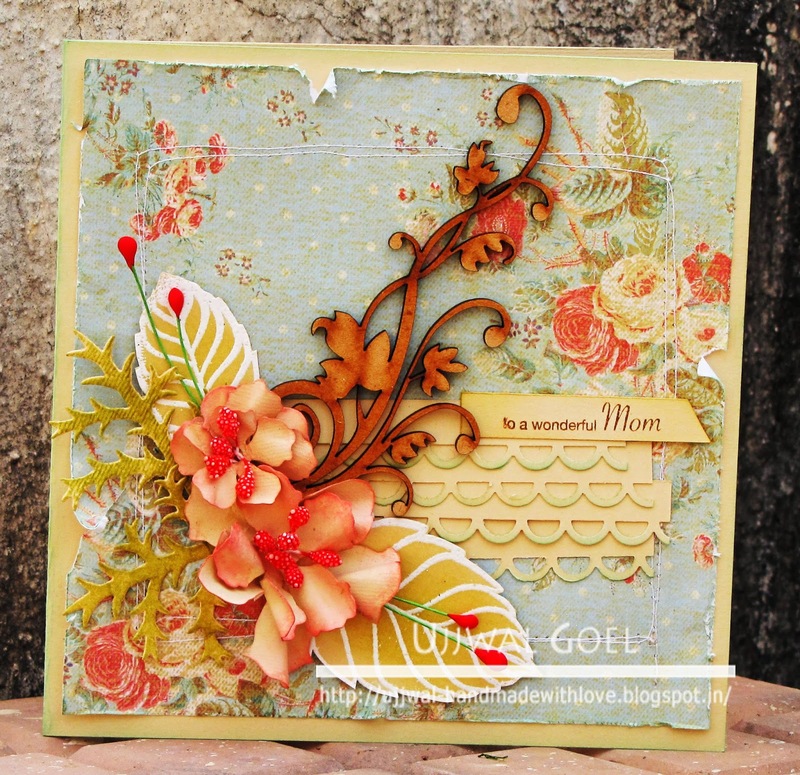 loved blooms, laser cut and soft colors!! 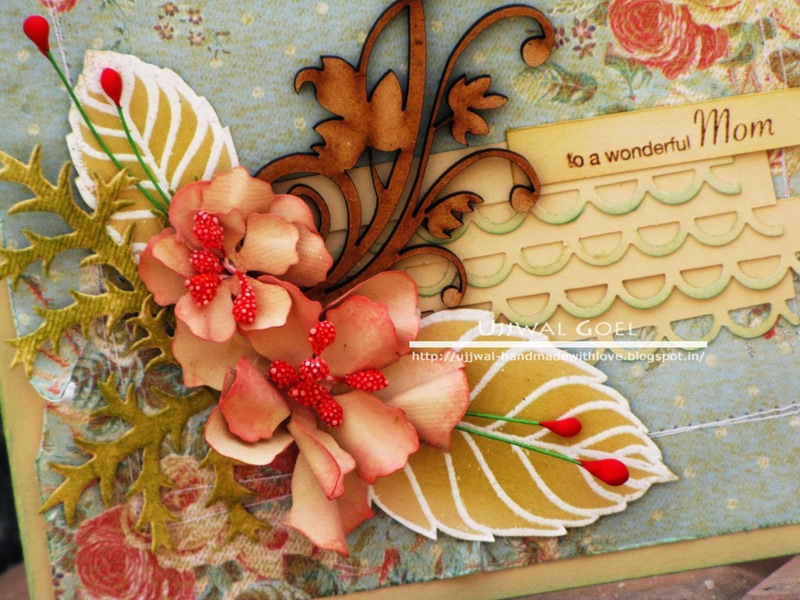 Beautiful card, very feminine and loved the use of the laser cut and strips of punced border. 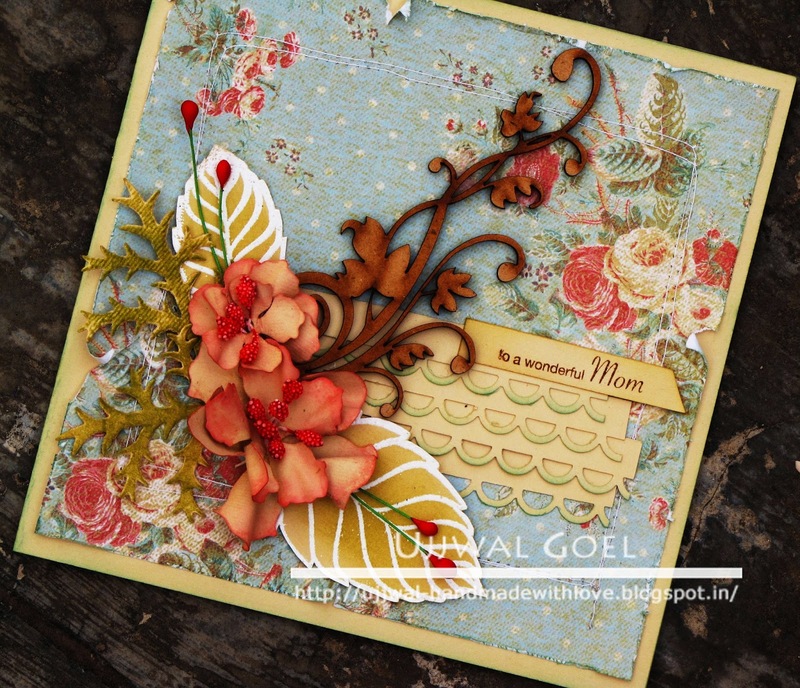 Lovely card Ujjwal. I am a big fan of your work. Wow Ujjwal! Such a pretty card! I love everything in it.. beautiful blooms and the mdf adds to the look! thank you for the inspiring post!